The best business use of social media seems to come from business-to-consumer companies. Indeed, have you seen Tiffany’s new Facebook page? They’ve mastered the art of the timeline and are even bringing back old jewelry designs based on their followers’ votes. So what about B2B companies? I decided to investigate using the Social Business Index published by the Dachis Group. I think of the SBI as a Klout score for businesses. The Dachis Group says the Index, “…analyzes the effectiveness of strategies and tactics organizations employ to engage the market through social channels….” The Index includes several thousand companies and is continually updated. As you might imagine, B2C companies dominate the top end on the Index. You see names like Coca-Cola, Disney, Facebook, Google, Nike, Starbucks, and Zynga. The average score for all companies (the Composite Index) is 1,577. The companies just mentioned all scored well above 2,000. And B2B companies? Not so easy to find. I looked for tech companies and found only three — HP, Intel, and Cisco – with scores above 1,577. The top B2B software company appears to be Oracle, with a slightly-below-average score of 1,220. That puts Oracle in 185th place compared to all companies. SAP is not far behind with a score of 1,122 and a rank of 218. I’ll keep track of these companies and blog about their relative positions approximately once a month. 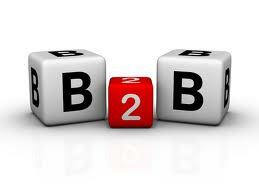 I’m expecting B2B companies to incorporate more and more social media into their marketing programs. Let’s find out who the leaders will be.